When children enrol at Geelong Baptist College they become part of a community that spans from prep to year 12 and beyond. The college is like one big “family”, according to primary principal Judy Sobey. “We do a lot of collaborative activities, whether it’s cooking or excursions. And having secondary and primary students on the one campus has other benefits for the college. “It can be quite daunting for adolescents starting in year 7,” Judy says. “But we have a very seamless transition when children go from primary to secondary school. Geelong Baptist College promotes self-worth and ensures each child can reach their full potential, whatever that may be. The college provides academic, creative, artistic and sporting opportunities for each of its 312 students. 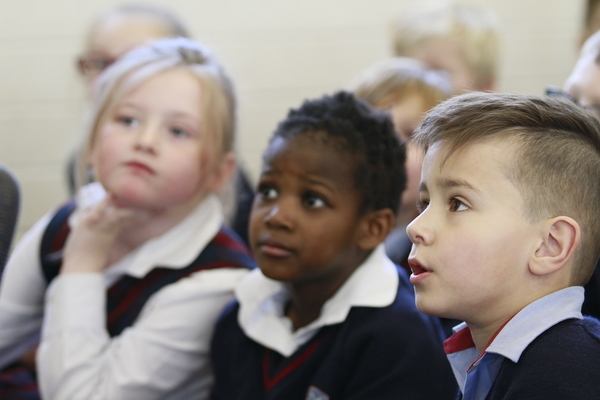 “Whilst we’re an independent school – we’re a smaller school,” Judy says. “So we know our students very well and we value the individuality of each student. The college had a 25 per cent increase in primary students this year. “We’re on 34 acres, so we have plenty of room for more,” Judy says.